1) It points out how hard it is to be a COP these days. 2) It points a not-too-subtle finger at DRUNK DRIVING. 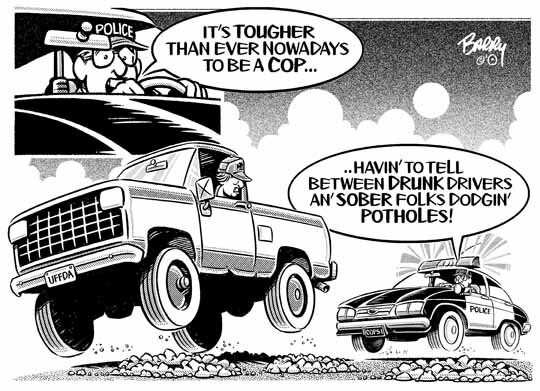 3) It points to that perennial Spring evil — POTHOLES! Have a swell weekend, folks!